Pokemon is now available in India and other South Asian Countries. You can now download Pokémon GO from the App Store and Google Play. As of today, Trainers living in India and other South Asian countries including Pakistan, Nepal, Bhutan, Sri Lanka and Bangladesh can download Pokémon GO. 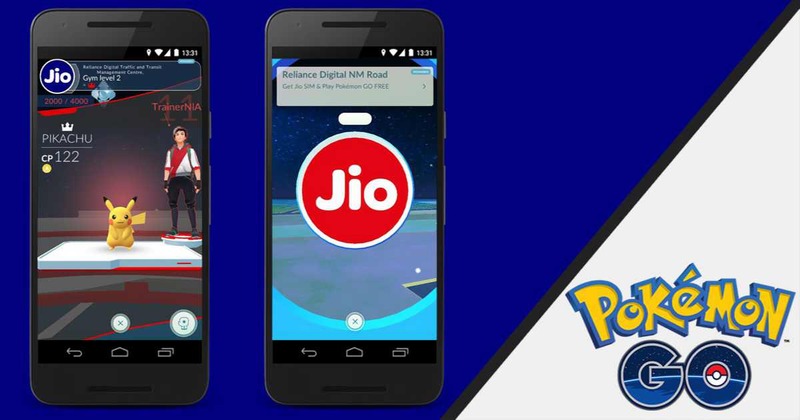 Niantic also announced that Reliance Jio Infocomm is an official partner of Pokémon GO in India. With this partnership, nearly 3,000 Jio stores and partner locations will become PokéStops and Gyms that Trainers can visit to collect items and to battle over. During Jio’s “Happy New Year” offer, their SIM customers will be able to download and play Pokémon GO without incurring data charges. To our Trainers in India – we appreciate your patience during the last few months while we worked on bringing Pokémon GO to your country. The Niantic team had to resolve a few administrative challenges before launching in order to ensure we could provide the best experience possible. Recently, the company also released new Pokemon for players. You can download Pokemon GO from the link below.